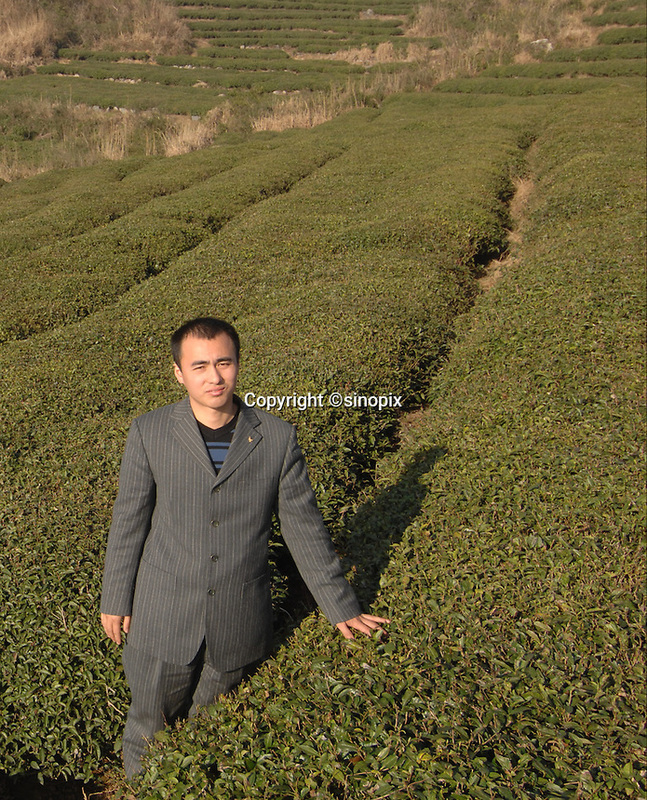 He Meng Miao, 28, manager of the The Heng Yuan Chun Tea Farm in the mountains outside Fuding City, Fujian Province where "Silver Tip" tea is produced. Workers here are paid around 53 pounds a month during harvest season. The tea sells for upto 20 pounds a pot in the UK.